Located on the right bank of the Douro River, between Régua and Pinhão, Quinta dos Murças opens the doors of its House. Visitors can now participate in the Estate’s daily life and discover its great diversity, staying at the House or taking advantage of various visiting programs. An experience that is meant to be charming, authentic and local. The Quinta dos Murças House has 5 bedrooms and can accommodate up to 10 people. Aside from enjoying the comforts of the house, gardens and swimming pool, guests can also participate in the estate’s daily routines, whether in the fields, the winery or in the kitchen. The living room features a veranda overlooking the river and is the perfect place to relax, read or even play the piano. The dining room is a space to share experiences and conversation around the table, where traditional Douro cuisine is prepared by our housekeeper. 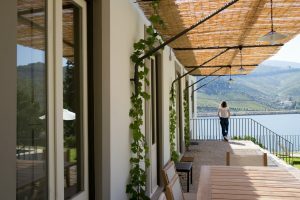 In order to provide an authentic experience of an estate house in the Douro, we offer a wide range of activities, such as wine tasting, picnics and hiking trails. 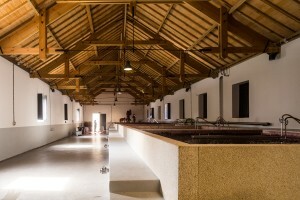 The shop offers Quinta dos Murças wines and olive oil, as well as products developed in partnership with some of the region’s artisans and artists.